Samsung's revamped Galaxy A series already has five members, and it appears at least two more are on the way. The Galaxy A60 and Galaxy A70 arrived on TENAA with images and basic specs. 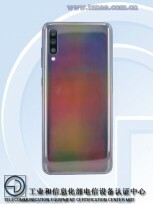 Both new phones will have triple-camera setups on the back - the A70 will have a fingerprint scanner underneath the screen, while the A60 will stand out with an Infinity-O display. 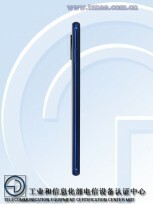 The Galaxy A70 will have a 6.7” screen with a waterdrop notch, or Infinity-U as Samsung likes to call these. The camera lineup on the back is not detailed yet, but odds are it will feature regular, ultra-wide, and depth sensor modules. The back panel seems to be some sort of gradient, but it could also be Gray with a pattern that reflects the light in fancy colors. 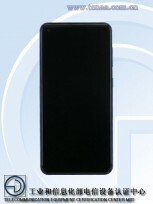 We also know it will have a 4,400 mAh battery, which would make it the biggest power cell in a Galaxy A smartphone since the Galaxy A9 Pro (2016). Dimensions of the phone are 164.2 x 76.7 x 7.9 mm. 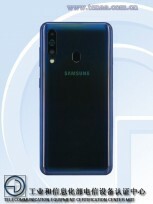 The Samsung Galaxy A60 looks a lot like the already announced Galaxy A8s with its Infinity-O panel and triple camera with a fancy circle around the main shooter. The new device will have a fingerprint scanner on the back, a 3,410 mAh battery and Android OS. Dimensions are 155.2 x 73.9 x 7.9 mm, so it’s slightly smaller than the Galaxy A70. The phones are certified with model numbers ending with a 0 (SM-A7050 and SM-A6060), and usually these are the China-only variants. Back in December, the Galaxy A8s was initially launched only for the Chinese customers but eventually reached South Korea, renamed as Galaxy A9 Pro (2019). Only time will tell if Samsung is planning something similar with the Galaxy A70 and Galaxy A60. I swear if the A70 is not IP68 waterproof I will start a rant because I need waterproof in the mid-range! I can rule out A60 because of the small battery and the A70 is a bit big for my liking but IP68 would be a redeeming feature!